A new OS for your Karotz. It's simple to install, it's simple to use, and it's free! An appstore full of apps for your Karotz. Free to use. And we still add new apps! Nous avons une section spéciale pour les propriétaires français de Karotz. ♦ 7 minutes ago, a Karotz listened to news from Yahoo. ♦ 7 minutes ago, a Karotz synchronized its time using a timeserver. ♦ 8 minutes ago, a Karotz woke up. ♦ 9 minutes ago, a Karotz told the time in French with Funny Clock. ♦ 9 minutes ago, a Karotz told the time in French with Talking Clock Français. ♦ 9 minutes ago, a Karotz woke up. ♦ 19 minutes ago, a Karotz synchronized its time using a timeserver. ♦ 19 minutes ago, a Karotz told a weather forecast in French from Open Weather Map. ♦ 19 minutes ago, a Karotz woke up. ♦ 20 minutes ago, a Karotz woke up. ♦ 24 minutes ago, a Karotz told the temperature in Paris. ♦ 24 minutes ago, a Karotz woke up. ♦ 29 minutes ago, a Karotz told a weather forecast in French from Open Weather Map. ♦ 39 minutes ago, a Karotz rebooted. ♦ 49 minutes ago, a Karotz woke up. ♦ 54 minutes ago, a Karotz woke up. ♦ 1 hour ago, a Karotz changed its color to Yellow. ♦ 1 hour ago, a Karotz told a weather forecast in French from Open Weather Map. ♦ 1 hour ago, a Karotz played a French mood. ♦ 1 hour ago, a Karotz woke up. Have you ever heard of Sinterklaas? It is a saint in a december-tradition in the Netherlands. Did you know we have a real "Sinterklaas App" in the Timebutton Appstore, on page 6? My Karotz friend from the UK changed his WIFI-router, and since then, his Karotz dropped out of the WIFI-network and didn't came back. A solution might be upgrading Karotz with a newer WIFI-network-adapter, and that's what we did. Read this article to find out how we saved his rabbit. About a year ago, a French Karotz owner called "Slash" contacted me. He is using an Edimax EU-4230 USB to LAN adapter to connect his Karotz to his LAN, and succeeded in cross-compiling a driver for it. He used insmod to insert this driver into the Linux kernel. This way, he was able to add hardware to Karotz that isn't supported out-of-the-box. We want to inform you about a change in our Text-to-Speech (TTS) provider. We now use the Bing text to speech API from Microsoft as our main TTS provider. Lets talk about Karotz Brownies. My Karotz has been in our living room permanently since november 2015, so for almost two years now. This weekend, a Karotz owner named Lee contacted me about his idea to create new internet connected rabbits. Lee started an Indiegogo campaign. We just published six new apps in the TimeButton Appstore. Three of them are new moods and were created by Waarzawa. These new moods contain sounds from the Star Wars movies. Karotz user Denis has discovered that the Metro tickets from Brussels can be read by Karotz. He created a video. Our Karotz lost its voice on the 8th of December, but we found new voices! Maybe you haven't noticed, but Karotz lost its voice on the 8th of December. We maybe have a solution for this problem. Let's give you a short update about what is going on here, because the latest news was written some time ago, but a lot has happened in the meantime. You haven't heard from us in a while. That's because we were busy creating a brand new OS: Free Rabbits OS. We are very proud to announce the launch of the first version today. Our Karotz is running this version for a few weeks now, and is stable and happy with it. In the previous post, I described how to extract the original Karotz Root Filesystem (Rootfs) from Violet/Mindscape to a (virtual) Linux machine, using "cramfsck". We now have a directory with the original firmware files from the read-only part (i.e. the flash memory) of our Karotz. We can now change these files on our Linux system. When finished, we want to re-CRAM the files back to an image. We can use this new image to flash our Karotz with our custom firmware. If this succeeds, our Karotz will have a modified Root filesystem and we can make more modifications. I wanted to know if it is possible to change the (flash) firmware, the so called "Root File System (Rootfs)" of my Karotz. I'm lucky to have multiple USB-keys with original firmware files with version 12.07.19.00. What if I could re-program this firmware, for example to update Busybox to the latest version? This is part one of two about changing Karotz firmware. In this post I'll share my Dropbear SSH adventures with you. Dropbear is an SSH server. With SSH, you can remote login to your Karotz and get a remote shell using a secure (encrypted) protocol. You can login with a username/password but also with a (public and private) key-pair. We created an instruction video. The video will explain how to connect Zermelo to your Karotz. In March 2016, we did some minor and major changes to the TimeButton AppStore. We changed the userinterface, added some Apps, connected to new services and more. Read the post if you want to know what kept us busy. I wanted to know what is happening behind the scenes to enable it. On nabaztag.forumactif.fr, a French Karotz owner named DuplO asked for help. His rabbit didn't speak anymore. I did a rewrite of the original TTS file and asked him to download this file. This helped to solve the problem, his rabbit is speaking again. The TimeButton software with our Appstore has been online for a few weeks now. Every weekend, we have added some new apps. We have created an Appstore full of TimeButton apps. Maybe you want to play Bingo during Christmas Holidays, or on Christmas Day with your family? 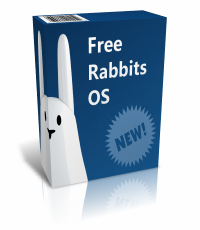 Let your Karotz call the numbers, and let FreeRabbits.nl pick them. You don't want to go to church, but still want to know what is going on? Read on to find out how to use your Karotz as a Church receiver. Have you seen our RSS-Service? It allows you to let your Karotz read an RSS-feed (for example the daily news). 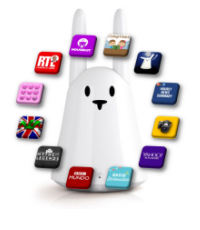 Or do you want your rabbit to read your favorite RSS-feed every day at a specific time? That is possible using a Python script and our Karotz RSS Service. Follow our instructions! I wanted to make use of the button of my Karotz, and wondered how to change its actions. In this post, i'll try to explain how you can assign multiple actions to the button on your rabbits head. Niek did some experiments with IFTTT (If This Than That). 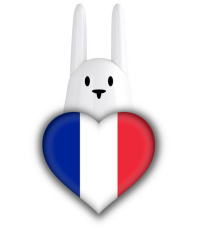 Connect your rabbit to the rest of the world! In this post, I will try to explain how your Karotz can talk, that is changing Text To Speech (TTS). When you enter text and submit it to your Karotz, it is not changing it into speech by itself. Instead, it is using a service from a company called Acapela. Since I have my Karotz up and running on my Wifi network, it sometimes (or often) does not respond to a web request by different browsers of different devices. There are more people having this problem, and they solved it by pinging their Karotz on a regular basis. I wanted to know what is going on, so continue to read why this is happening. There is a lot of useful, funny and interesting information about your rabbit on the world wide web. You want to know all about your Karotz, even how it looks inside? Take a look at these links! I decided to create a bootable USB key to collect diagnostic information about my Karotz, including a list of available Wifi networks, as the (Wifi interface of) the Karotz sees them. I wanted to be able to reconfigure the Wifi settings of my rabbit with a bootable USB key. I succeeded in creating a USB key with the tools to change your Wifi and Network settings. When I installed Open Karotz, I had to change a few steps in the install procedure described on the Open Karotz webpages. These are the steps I recommend to install Open Karotz. I wanted to boot my Karotz from USB and discovered how this works. The rabbits arrived! Yesterday, Niek and I visited Alice and drove home with a car full of rabbits. This weekend, I was reading some articles about the Internet of Things and Robotics on the web. This remembered me about Karotz, a robot-rabbit. My friend Niek temporary owned a Karotz because he participated a social experiment with, lets say, 'robotic rabbits'.